They have being baking for over a decade and have a husband and wife Baking team – Sean and Sue Cooper. 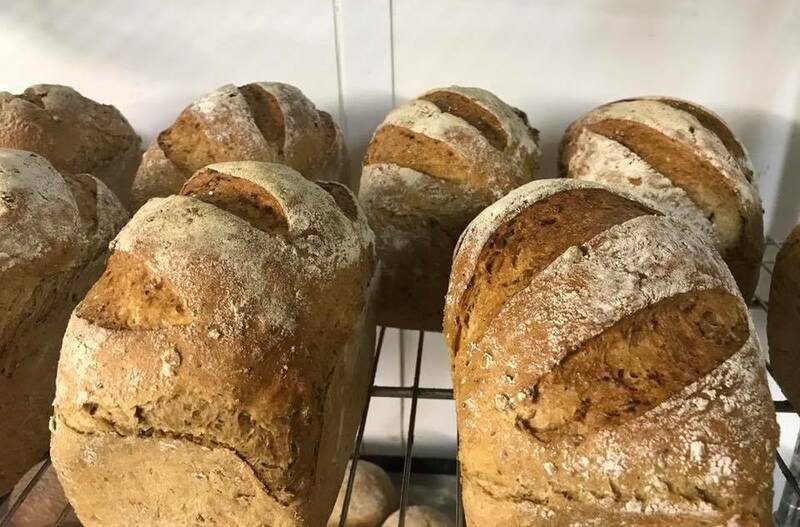 Organico Bakery breads are made to a recipe passed down from our mother Caroline, who baked once or twice a week all during our childhood. Baking Day was a family affair; as little girls we were given a piece of dough to make a ‘breadman’ with raisins for buttons. In the late 1990s Caroline set up the Bakery in the back of our shop and we have been supplying Bantry with #realbread ever since! The basic recipe is organic flour, filtered water, fresh yeast, salt and a little organic sugar to feed the yeast. All our breads are mixed by hand, and with the exception of the Rich Soda they all conform to the Real Bread rules. Our current project is to further develop our range of Sourdoughs. Exciting times!